Sample Blog Post 1 - Your Headline Here | Brawer Hirsch & Associates P.A. Her name was Mary Mallon, but she was better known as Typhoid Mary–the first person in the United States recognized as an asymptomatic carrier of the pathogen associated with typhoid fever. So just who was Typhoid Mary?Unlike nurse Hickox, who is possibly facing a 21-day quarantine (the incubation period for Ebola) in her home, Typhoid Mary spent nearly 30 years forcibly isolated on New York’s North Brother Island. Mary Mallon was born in Ireland in 1869 and came to the United States as teenager where she lived in New York with an aunt and uncle until their death. Alone in the nation’s largest city, the resourceful Mary first worked as a housekeeper in several homes. Then, in 1906 she was hired as a cook for a wealthy family in the fashionable Oyster Bay community. Within two weeks 10 of the 11 family members were sick with typhoid. Mary moved on to three more households. In each case wherever Mary Mallon worked typhoid outbreaks occurred and each time that happened, she moved on. One family stricken by the disease hired Dr. George A. Soper, an epidemiologist and sanitation engineer to investigate. Dr. Soper was a typhoid fever expert and was aware that the disease was often passed on by immune carriers, though he had yet to identify such a person. By contrast, Ebola survivors who have developed immunity to the virus apparently do not carry the disease nor pass it on. In fact, some survivors are being trained to care for children in Liberia and Sierra Leone, according to the UN’s UNICEF agency. That was not the case with the typhoid outbreak of 1906, however. As Dr. Soper began his investigation he looked into the Oyster Bay family’s eating habits. He investigated the possibilities that the illness was transferred through oysters or that sewage pipes could have tainted the family’s drinking water. Finally, he focused on the kitchen staff. He soon identified Mary as the likely cause. Dr. Soper checked into her work history and discovered that most of the families she worked for in the past had suffered from typhoid outbreaks as well. Soper ascertained that most of the food Mary served her employers was cooked (and therefore most likely safe from typhoid). However, Soper concluded that Mary’s trademark ice cream and peaches dessert very likely infected the family. By now, Mary was no longer working for the family that hired Soper and because she never left forwarding addresses when she left a household, it took considerable effort to track her down. When he finally did locate her, Mary was unwilling to cooperate. Dr. Soper explained that Mary was infecting families with her cooking and asked her to provide urine and feces samples. As the story goes, Mary became so upset with the request that she chased the doctor from her kitchen with a large carving fork. That was only a temporary reprieve for Mary, however. Dr. Soper reported Mary to New York City’s Department of Health and convinced them to send a female health inspector, some policemen and an ambulance to bring her in for testing. When they arrived at the house, Mary ran and hid. They finally found her some three hours later and dragged her away, kicking and screaming. Testing concluded that Mary did carry the typhoid parasite. But why didn’t she fall ill with the disease? A 2013 study by the Stanford University School of Medicine found that the salmonella bacteria that causes typhoid fever hides in immune cells known as macrophages, a type of immune cell. The study said that if the germs are successful in pulling that off, then an infected person like Typhoid Mary can unknowingly spread the pathogen without falling ill herself. The Department of Health offered Mary Mallon a deal: give up cooking and she could go free. But Mary refused to promise anything and in 1907 she was quarantined on North Brother Island. It didn’t take long for New York’s sensational newspapers to discover the story. They immediately christened her “Typhoid Mary.” One newspaper illustration depicted Mary breaking egg-sized skulls into a skillet. 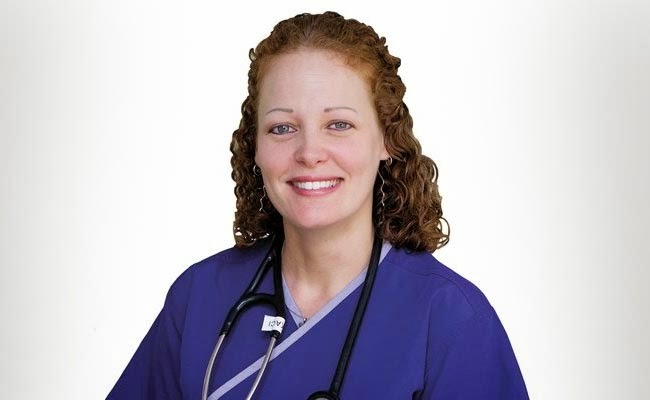 Just as nurse Kaci Hickox’s situation has resulted in opposing opinions, so it was with Mary Mallon. Many Americans were convinced that Mary’s civil liberties were being violated, while others viewed her as a public health menace. Mary’s quarantine on North Brother Island ended in 1910 when a new and sympathetic health commissioner released her on condition that she never work as a cook again. But five years later health officials traced an outbreak of typhoid fever at Sloane Maternity Hospital in Manhattan to a “Mrs. Brown,” the facility’s cook. “Mrs. Brown” turned out to be Mary Mallon. She was immediately sent back to North Brother Island, where she was forced to remain for the rest of her life. She died there on November 11, 1938, having lived a total of 26 years on the island. 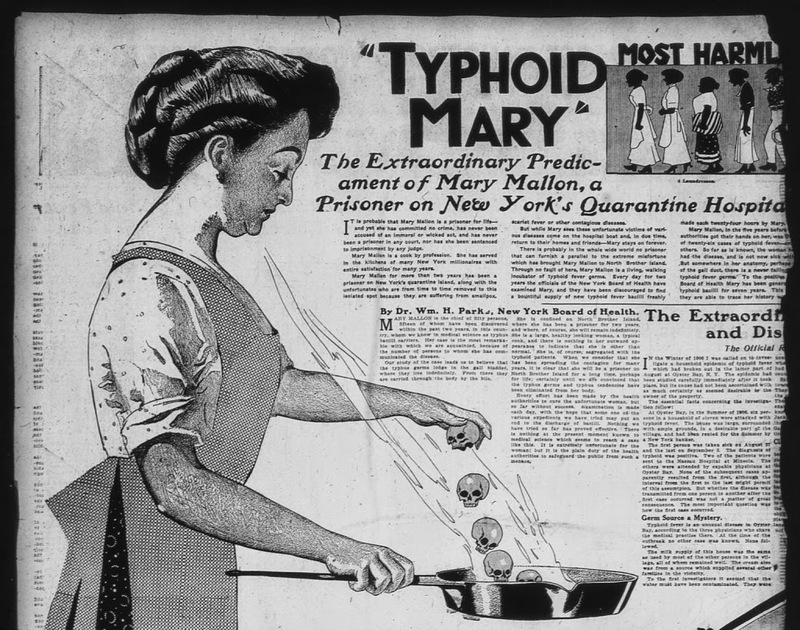 The world has changed since 1915 when Typhoid Mary was quarantined for the final time. Nurse Hickox will never have to worry about being sent to a place like North Brother Island–even if she were to be found to have ebola.Among the 47 typhoid infections Mary Mallon caused, at least three deaths were definitely attributed to her. However, because she used so many aliases and refused to cooperate with health authorities, the exact number is not known. Some officials estimated that she may have caused 50 fatalities. But just as Mary Mallon insisted in 1915 that her civil rights were being violated by the authorities, so too has Kaci Hickox, who asserts she is not infected with the ebola virus. Which leaves us with the same questions that were being asked almost 100 years ago when Typhoid Mary was quarantined: namely, when and under what circumstances can an individual’s civil rights be trumped by the broader public’s right to safety? It’s a dilemma in need of a resolution.